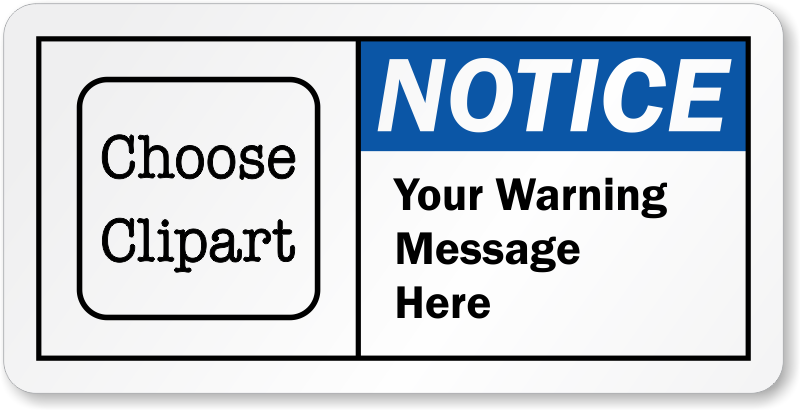 Our Custom Notice Label complies to ANSI standards. Just add text and picto to create a label that suits your needs. Personalize for free in few easy steps. Label made of laminated vinyl is highly durable and resists wear and tear. Label withstands chemical splash and can be used inside or outdoors. Glossy finish label is easy to clean. Available in several sizes to suit your requirements.